I have a little something different not to mention exciting and delicious to share today. To be perfectly honest, I’m not sharing much, but rather I am thrilled to have my brother-in-law, Pete, here to share a few onion recipes. During our Fantasy Football season, Pete was the commissioner of our league and therefore was responsible for posting updates and hilarious league messages, which quickly turned out the be the highlight of the entire season. This was also partly due to the fact that my team stunk worse than a pair of gym shoes, but that’s just speculation. The league updates kept me interested and were the only thing that really made me not want to chuck my computer out the window after another one of my starters ended up on the injured list. I mentioned to him that he should totally guest post here on Jelly Toast sometime because besides being hilarious, he knows his way around the kitchen as well. Win, win.So, a couple of weeks ago, Pete came over to cook up his three onion recipes; all of which I have tasted and are delicious but if I could completely live off of his onion straws, I totally would. They’re that good. So, he cooked, I took pictures and got lunch out of the whole deal. Win, win, win. Make the onion rings into a t-shirt. Hi. I’m Emily’s sister’s husband. 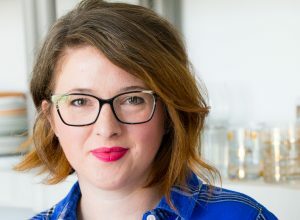 Yes, that makes me qualified to come on this blog and talk about food. Seriously, that’s how it works. Let’s start off with a little background. I am super picky. Not just “oh, I don’t like Brussels’ sprouts or liver and onions” picky. Not even “I prefer my sandwich toasted at Subway” picky. I’m talking about the level usually reserved for small children with attitude problems, people with severe allergies to everything, and weirdos like me. Picky. With that being said, I have never tried any of the three recipes I’m here to share with you today. Not once. They all are onion based, and, you guessed it, I don’t eat onions. Never have, probably never will. We have an agreement and so far it is working. If that makes you nervous, I assure you that I’ve never gotten bad feedback. Well, not on these, anyway. Once I made pork chops and used all the spices in the cupboard (except the cinnamon sugar). Those weren’t such a big hit. 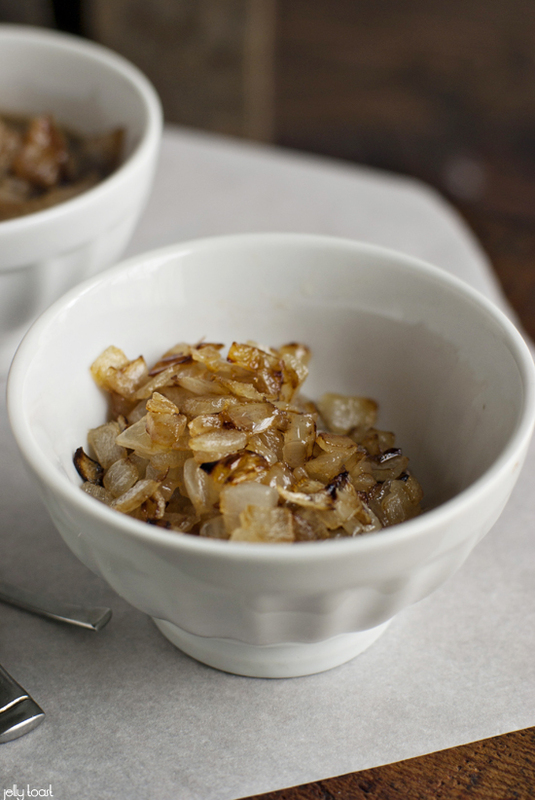 Anyway, I’ll start with basic caramelized onions. These are something I’ve recently started making for my wife. She usually mixes them with eggs and cheese, but I’m sure they’d go well on a burger or in a taco or pretty much anywhere caramelized onions show up. Not on my plate, though! I put an amateurish dice on the onions, part to spare the feelings of professionals who might be watching and part because that’s the best I can do. Then put the onions in a pan on medium heat. Stir the onions for about 6 to 8 minutes before adding the butter. Once the butter has been added, stir for another 5 to 7 minutes. At this point I add the sugar. Keep stirring (occasionally, don’t put yourself out) until they are browned and (apparently, I don’t know) delicious looking. Add a pinch of salt to taste if that’s your bag. 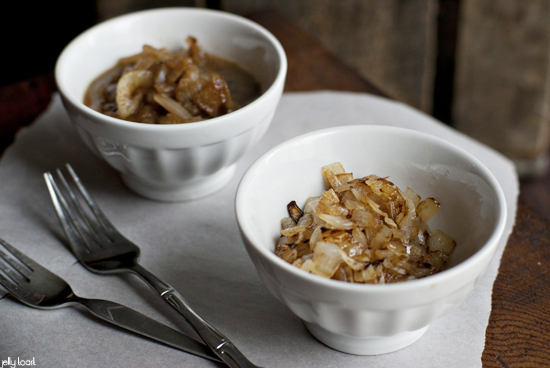 The next onion recipe I frequently use is very similar to a French onion soup. I make these for my wife to put on steak sandwiches. Cut the onion into strips, rings, diced pieces, chunks – whatever makes you feel good, but please cut it. Trying this with a whole onion would probably not work too well. Put the onion in a pan on medium heat. Sweat the onion for a few minutes, stirring occasionally. Add the butter and broth. Stir in the garlic powder and let the broth cook down. This will take a while, depending on how much broth you added. 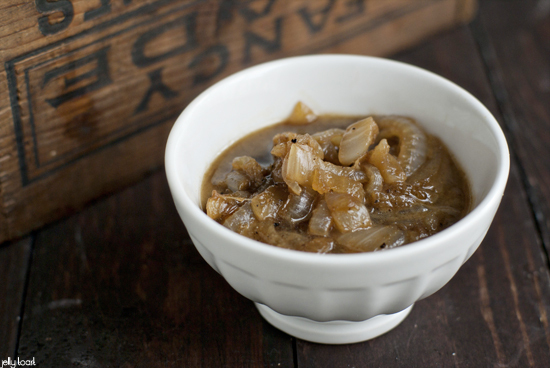 By the time the broth has cooked down, the onions should be softened and have taken on the color of the broth. At this point, they are ready to serve. My final onion recipe is fried onion straws. I’ve only made these at our annual familyiron-ish chef challenge. They have been a hit both times, even though they were part of a losing team paired with steak in a sacrilegiously named dish, “Filet in a Manger”. Bring the oil to 375⁰F. Cut the onion into long strips. Put the buttermilk in a bowl. 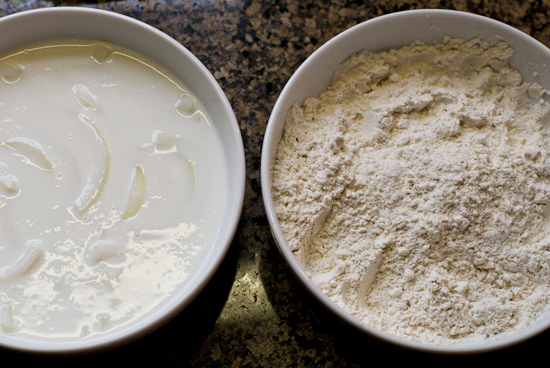 Mix the dry ingredients in a different bowl. 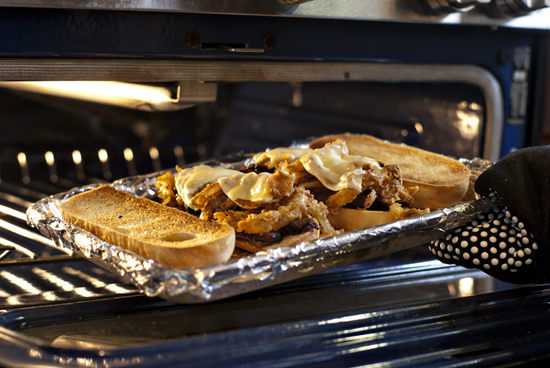 Set out a cookie sheet with paper towels on it to dry the onions when they come out of the fryer. Once you have some onion straws cut, put some in the buttermilk. Don’t worry about fitting all of them in the buttermilk, you probably can’t fry them all at once, anyway. Once the oil is to temperature, take the onions from the buttermilk and dredge them in the flour-spice mixture. Then drop them in the oil for about 2 minutes (or until golden brown). 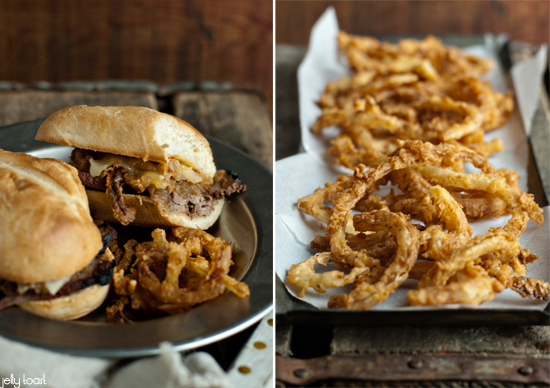 Repeat the process until you’ve cooked all the onion straws. Salt to taste. 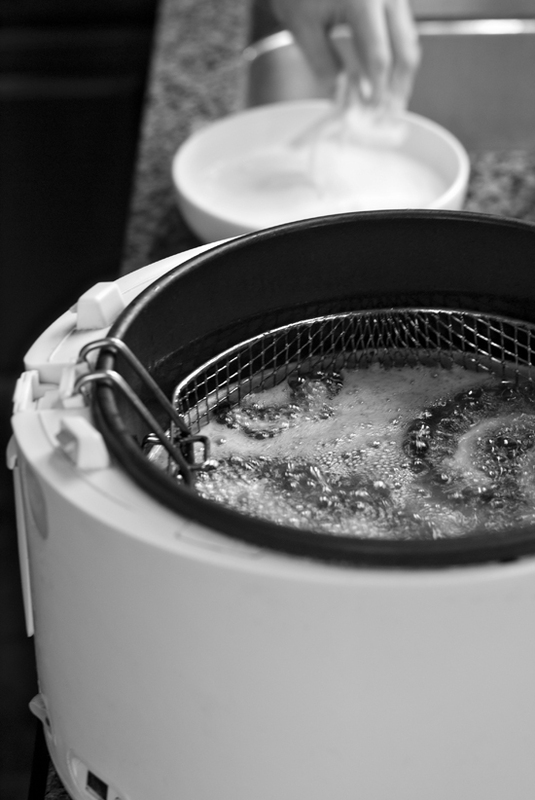 Some hints on this one: you might want to make more than one onion if you are going to bother firing up a fryer and also you will want to have something to wipe your hands on after dredging the onions in the flour mixture. They will get coated in a sticky, pasty substance that will make subsequent batches messier and likely end up all over your clothes or face. Or hair. Or wherever else you may have an itch. All 3 sound absolutely delicious!! When are you going to make them for your Aunt Jennie??!!! 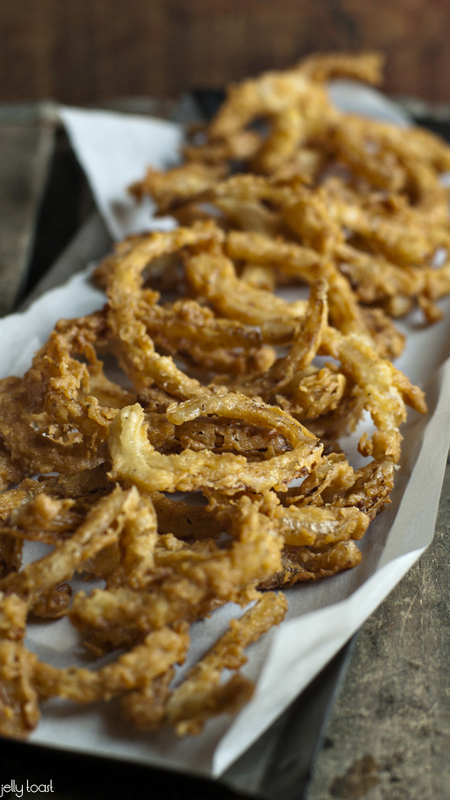 just finished making the onion straws this evening – totally amazing!!! Thank you so much! I’m glad you liked them. It feels good to get positive feedback so quickly.